↑ 1.0 1.1 1.2 1.3 1.4 "內政統計月報". 內政部統計處. 喺2019年2月6號搵到. ↑ "City population（城市人口）". Major Agglomerations of the World. 喺2019年2月6號搵到. 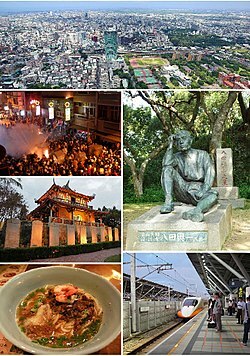 ↑ "來台灣必做的101件事　台南國華街登日雜封面". 三立新聞. 2017-07-17. 喺2017-07-17搵到.